How do I email multiple payslips simultaneously? 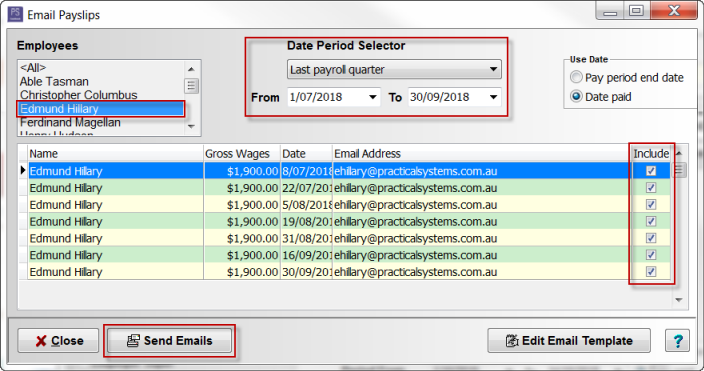 Cashbook Plus now allows you to send your all your payslips for each of your employees at the same time via a Bulk Email function. You can also email multiple payslips for an employee for a given period. Click on Help > Email menu options. Your email address - enter your email address. Your email host - this is the web or internet hosting service which rents out and operates your email server. Click on the following PS Knowledge Base link for the settings for common email providers: Email parameters for gmail, hotmail, yahoo, bigpond and others. Using the above PS Knowledge Base link fill in the appropriate email settings. Click on the Send Test Email button. 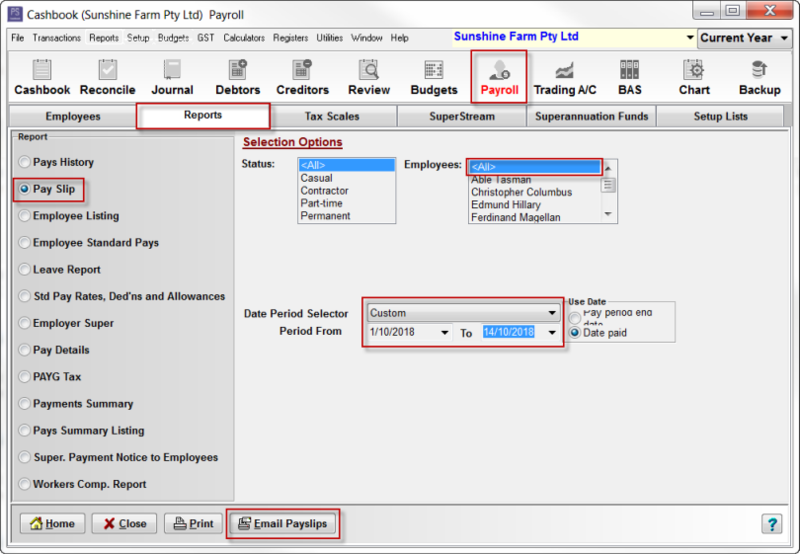 Step 2: Email payslips for multiple employees for a specific period, simultaneously. Click on the Pay Slip radio dial. 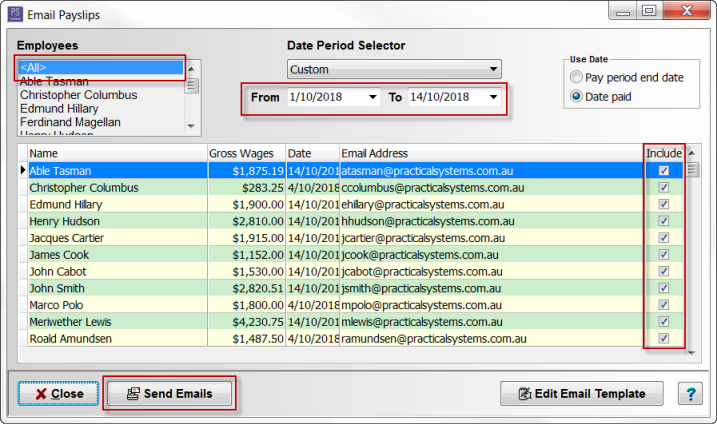 Select a date range in the Date Period Selector. Click on the Email Payslips button. Check to make sure that all employees requiring payslips are listed have have a tick in the Include column. Check that Date Period selected is correcct. Click on the Send Emails button. Note: you can send multiple payslips for one employee for a selected period.